It’s already our last full day at Lewa. And as the saying goes, the hours are long but the days are short - so true, especially with Naweza. We’ve had a very busy week and feel good about the progress we’ve made with the clinic staff as well as working through the strategy of moving ahead the Lewa/Naweza partnership. The day began with a meeting with Mike Watson, CEO of Lewa. We presented to him our successes to date and the evolution of the Naweza model of building capacity in Lewa’s health care delivery. The model consists of a community health worker (CHW), a partner clinic (Lewa Clinic at this point) and Naweza. 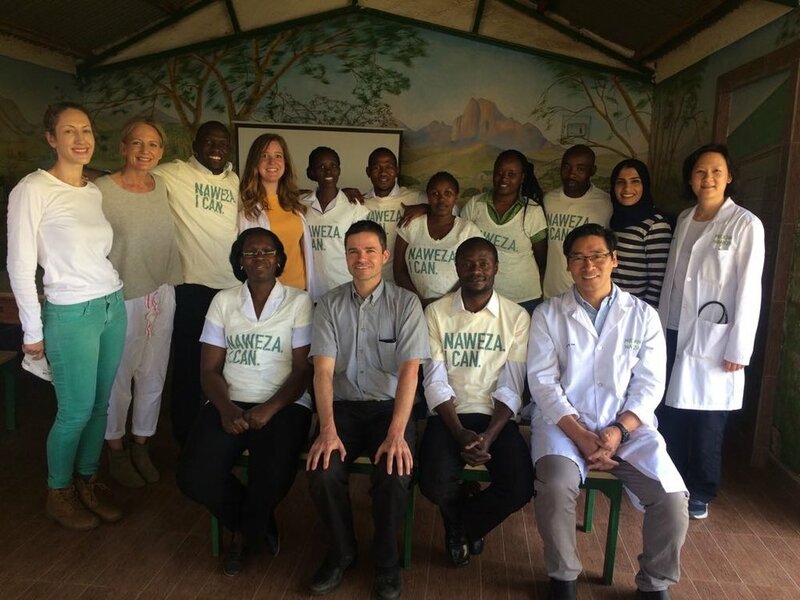 Naweza will provide education and training to both the CHW and Lewa Clinic on a selected program, with the Chronic Disease Program being our flagship. Technology will enable us to screen and manage patients, as well as provide credible robust data for research purposes so that we can validate our model with the hope of scaling it with multiple partner clinics. He was very receptive and agrees that Lewa has the opportunity to be a Centre of Excellence on Chronic Disease for the NRT, Northern Rangelands Trust, a consortium of 28 conservancies in Kenya. We look forward to a more collaborative effort in promoting our health programs along with the overall mission of the conservancy. Later in the morning we headed to the clinic and Dr. James led a talk on UTIs/kidney disease and Dr. Michael focused on the integrated management of childhood illness (IMCI) with a focus on pneumonia. Using the IMCI approach, Dr. Michael's aims to teach an integrated approach to child health (it focuses on the well being of the whole child) in order to reduce illness and disability, and promote improved growth and development among children under five years of age. We then presented the clinic staff with Naweza t-shirts and tea mugs and thanked them for a productive week. We took pictures, shared stories, had some laughs and basically made each other feel appreciated. It is a two-way street and the success of this partnership must be one of mutual respect and collaboration. I feel we are in a good place and am excited for the potential. The afternoon was spent seeing patients. One of the saddest and most difficult cases involved a patient who returned to the clinic after seeing us at yesterday’s Outreach. She was suspected of having juvenile rheumatoid arthritis (Dr. James also wrote about it yesterday and you can see photos here). The young female patient came into the clinic and had a blood test that confirmed her diagnosis. If this patient lived in Canada she would require lifelong anti-inflammatory meds and team-based care including occupational therapy in order to train her to do daily activities as her mobility continues to diminish. But in this resource-limited environment it will be highly unlikely that she’ll receive the treatment that she needs. The cost of the logistics, let alone the cost of the treatment is prohibitive. The mother claims to not have enough money to pay for the necessary trips to the Nairobi hospital, physical therapy and medications. Her prospects are grim and we are limited in what we can do. This story illustrates how the doctors who join us on this trip can at times feel a bit demoralized. And it's totally understandable: they diagnose a patient and know the treatment strategy that’s required and yet the patient won’t be able to receive that treatment. And in the most serious cases, like the one above, this can result in devastating consequences. Consequences that we in Canada would never need to endure. There is no easy solution to this. And we are forced to accept that we can only do so much. But still, it is a situation that leaves you full of frustration and sadness and your only choice, coping mechanism really, is focusing on the positive work that we’re doing - and the hope that through our relationship building, education and knowledge sharing our impact will be felt when we aren't here. We are often reminded that Naweza must choose areas where it can have the most impact. Chronic disease will soon be the leading cause of death in Kenya, overtaking HIV, malaria and other communicable diseases. 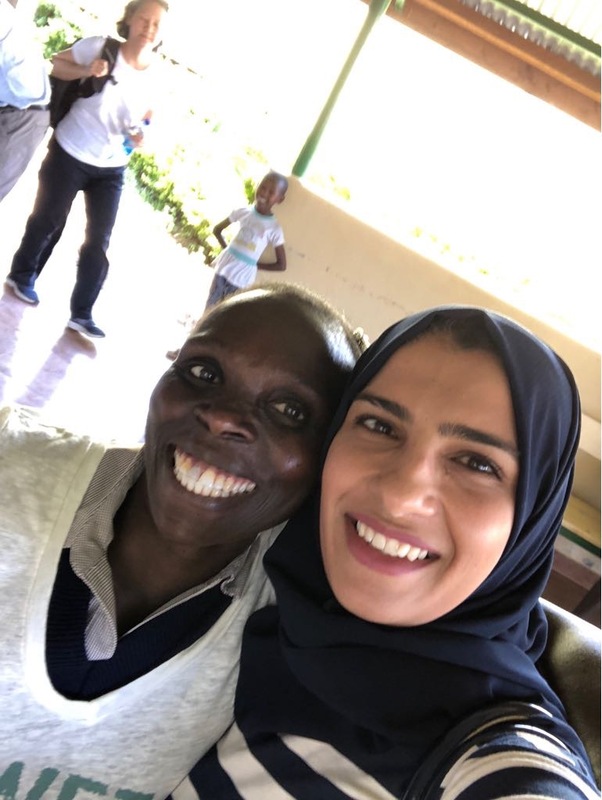 It is an up and coming epidemic and Kenya health-care professionals lack the training and education around properly identifying and managing these patients. 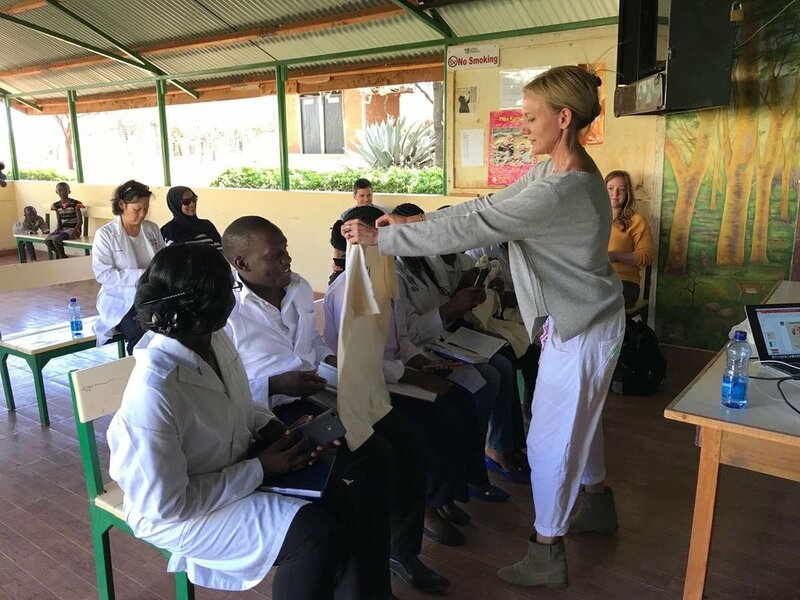 Establishing screening and treatment protocols will prepare the Lewa Clinic to care for their patients so that they avoid catastrophic outcomes resulting in a poor quality of life and requiring expensive treatment. Early intervention is key and through Naweza’s capacity building model overlayed with the SMS technology and EMR patient management tool, we are hopeful that health outcomes will improve for this community. Tomorrow we will head back to Nairobi and have our debrief meeting before everyone will head back home. We will have a lot to talk about including planning our next trip, which we are hoping will be in July (!). We don’t want to lose the momentum that we’ve gained on this trip and are excited to push forward other initiatives that will help Lewa provide a higher level of care to their community.